CHARLOTTE CHARITY RUNS INTO SPRING | South Charlotte Newcomers! Charlotte’s wonderful weather is a must for active families seeking outdoor fun! Runners especially appreciate the safe and beautiful environment the Queen City offers. Spring is beckoning all Charlotteans out of doors, filling every greenway, sidewalk and park with people happily jogging, sprinting and walking. Runners and active families have many opportunities in the wonderful days of May to enjoy their athletic pursuits and raise money for local charities. On May 3rd, the always ridiculous and fun 5K Foam Fest will be held at Hodges Farm at 3900 Rocky River Road East. Foam Fest is a delightfully messy mud run with obstacles sure to challenge! Foam, mud and water are a part of the obstacles. The fun supports A Child’s Hope Foundation. The foundation provides housing and basic necessities to orphaned children in developing countries. Also on May 3rd, TrySports May Day 5k will offer all ages and skill levels a 5k race, 1mile run/walk and a kid’s dash. Promoting healthy lifestyles for families and community in a great way at Morrison Place in the Southpark area of Charlotte. 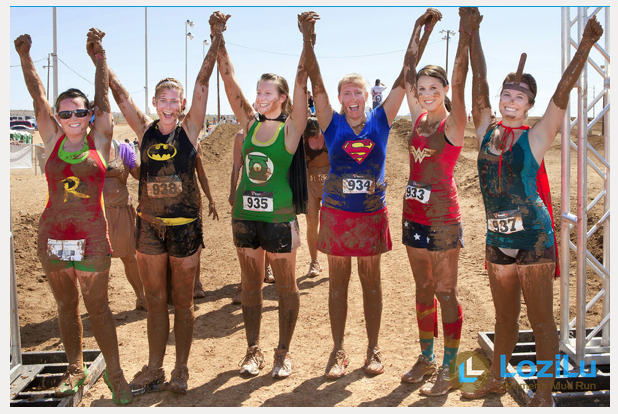 Lozilu Women’s Mud Run will be held at the Charlotte Motor Speedway on May 10th. This muddy obstacle course is a great girlfriend adventure that will benefit young patients suffering with leukemia and lymphoma. Crafted from the natural terrain, the obstacle courses are designed to be accessible for a variety of fitness levels. Big View 5k will begin and end at Big View Restaurant, 16637 Lancaster Highway in Ballantyne on May 10th. 100% of the net proceeds from the run will go school pantries in Charlotte. Post race, participants can enjoy a Farmer’s Market showcasing seasonal fruits and vegetables, cooking demonstrations and live music. The Charlotte Lung Cancer Initiative Run, Walk and Rally will be on May 17th at Park Road Park in South Charlotte. Benefits will support the mission with research, awareness and education for those affected by lung cancer in North Carolina. Grey Matters 5k Trail Run/Walk benefits the Brain Tumor Fund Carolinas, a local nonprofit. On May 24th, at Reedy Creek Park, families, teams and jogging stroller are all welcome to join the fundraising fun! The Queen City is bursting with spring sunshine calling everyone to run and walk in the great outdoors while helping out people in need. Join in on the fun and support your charity of choice!